Officials from Penn Medicine and IMC Construction topped out the new outpatient facility under construction in Radnor. 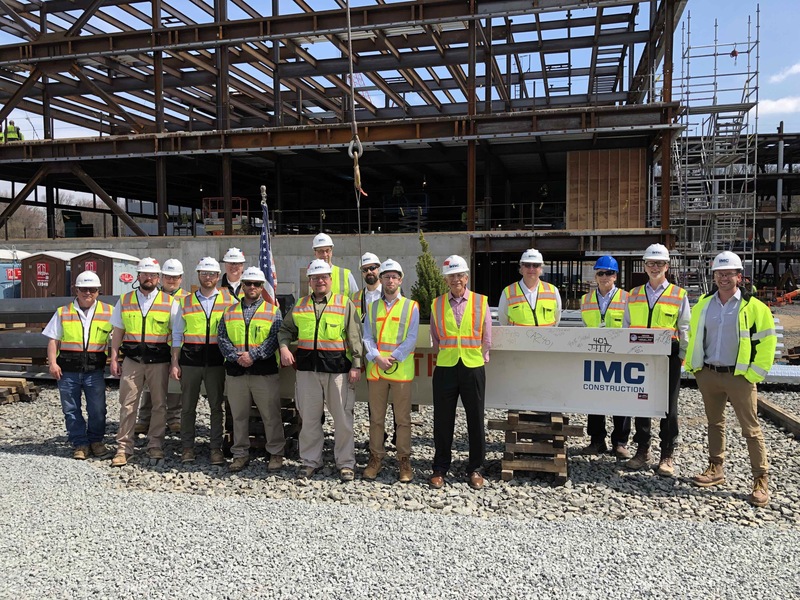 Malvern, PA (April 2019) — IMC Construction, a nationally-recognized, full-service construction company, held topping out ceremonies on April 8th on a multispecialty outpatient facility for the University of Pennsylvania Health System. The event on the Radnor site was attended by IMC’s construction team, Penn Medicine’s Steve DiMambro, Penn Medicine Radnor’s Associate Executive Director, Tracey Commack and representatives from all the departments at the facility.